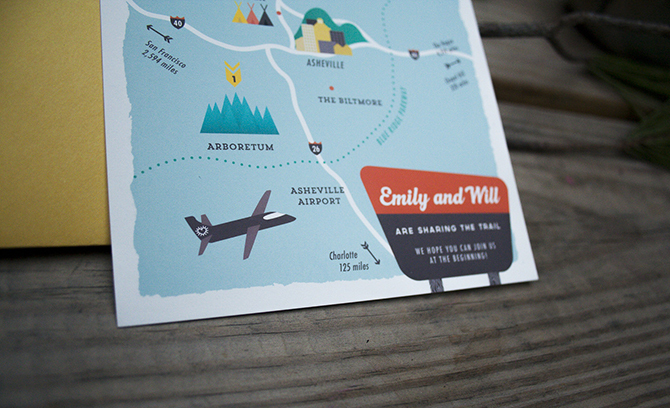 Emily and I traveled across the country, camping, swimming and taking pictures of signs. 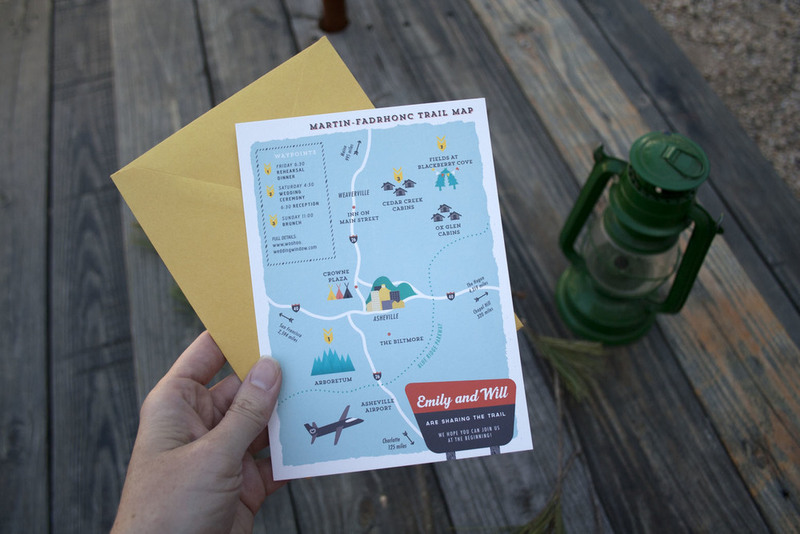 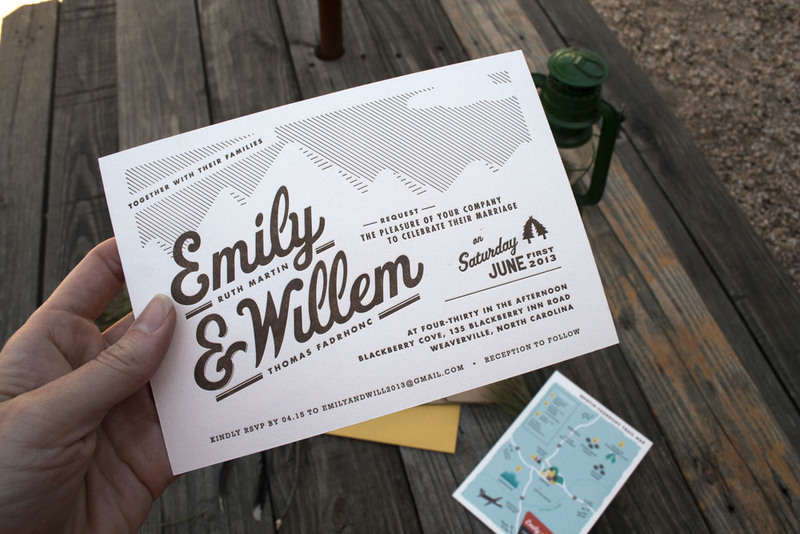 So when she and Will decided to get hitched in the mountains of North Carolina, the theme of vintage national park postcards, trail maps, and summertime outdoor fun felt right. 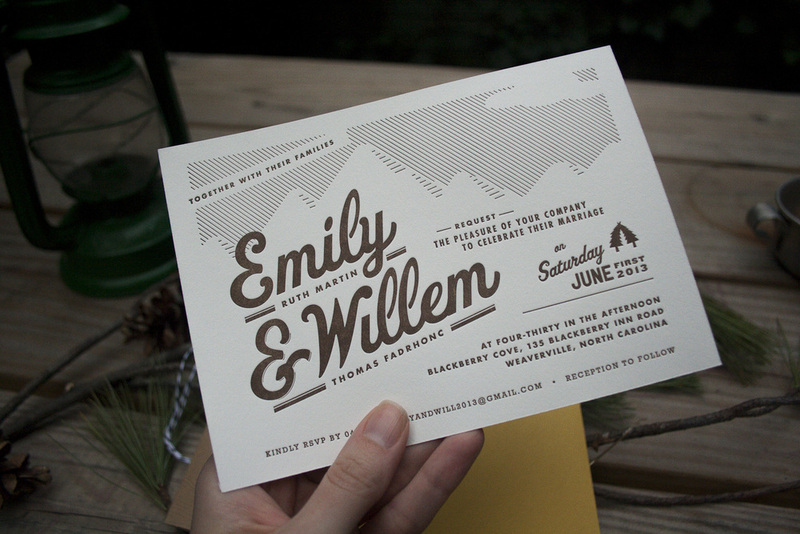 The main invite is on Cranes Lettra, and I had the fun of printing it myself at The Arm letterpress studio in Brooklyn.